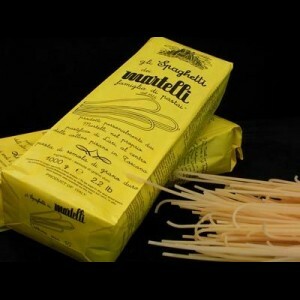 The Martelli family has produced their artisan pasta since 1926 in the medieval town of Lair, near Pisa, in Tuscany. 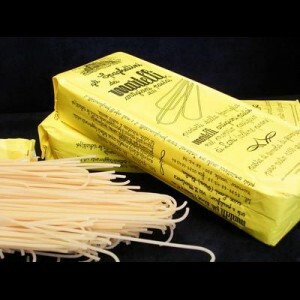 With simple techniques passed down from one generation to the next this pasta is made utilizing first grade durum wheat flour grown on the family property. The wheat flour is kneaded with cold water, cut with bronze dies and let air dry for 50 hours. This long drying process gives the pasta a rough texture perfect for catching pasta sauces. 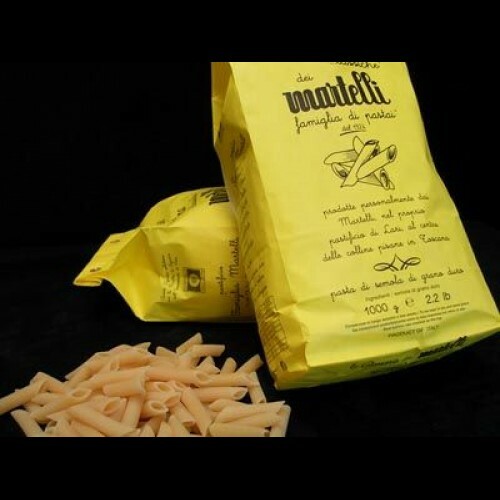 Penne: "Penne Rigate" (striped feather as Italians call them) are perfect for gratins (Traditionally any dish that is topped with cheese or combination of bread crumbs and butter, then baked or grilled until brown and crispy).